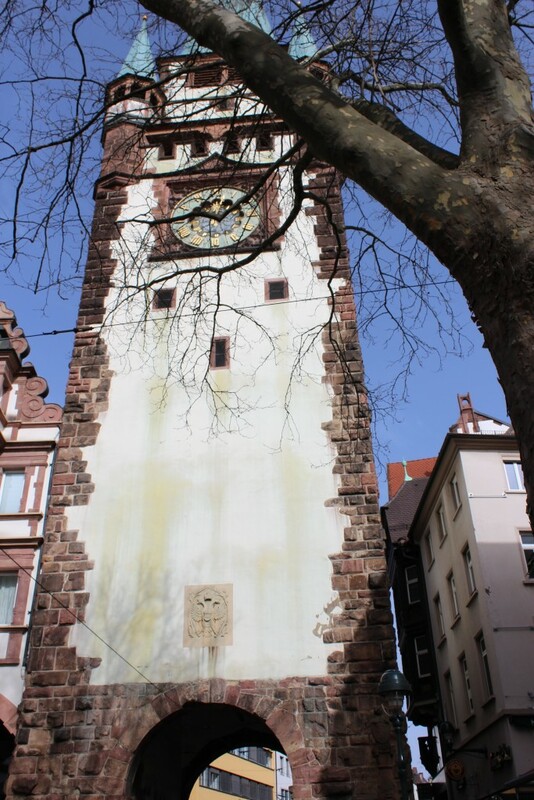 One of the first things you need to know about Freiburg is its name. When I looked at the map of Baden-Württemberg, I decided a day trip to the southern Black Forest region sounded like fun and interesting. In Germany there are two cities with this name and similar spelling. Both are mining and university towns, but they are very far apart from each other. 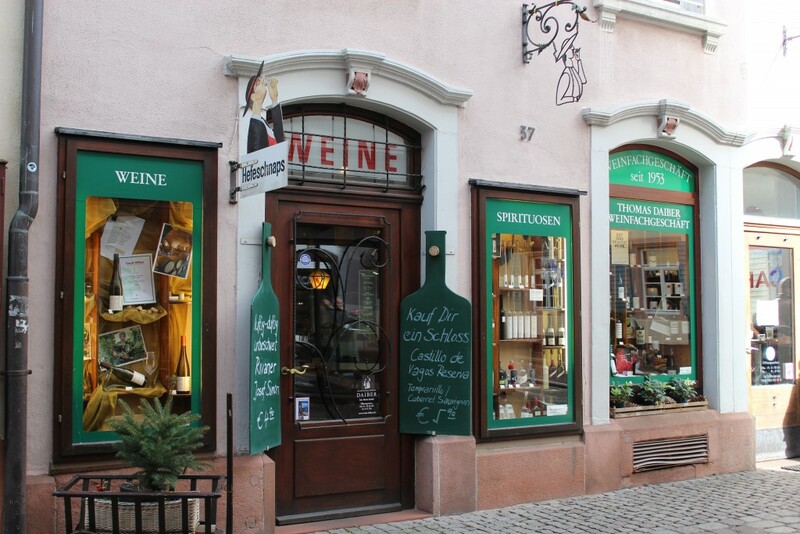 The Freiberg in the Saxony region, which is an exceptional town full of antiques, history and culture. 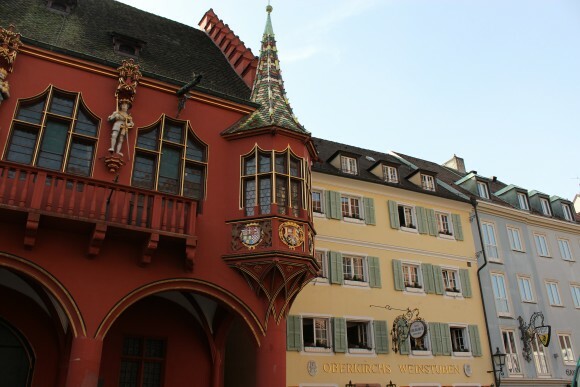 However, we are highlighting Freiburg im Breisgau in the Black Forest, which is an amazing and equally exceptional town. 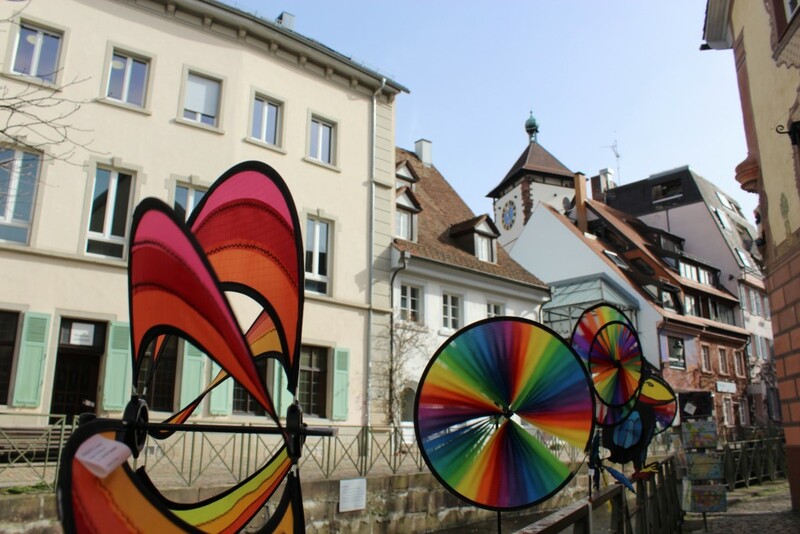 Making a perfect day trip from Stuttgart, here are five things you can do while there! A must visit is a farmers and artisan market located on the Münsterplatz, and is not too far from the Information center. (Don’t forget to stop by the center to pick up brochures for additional sites.) 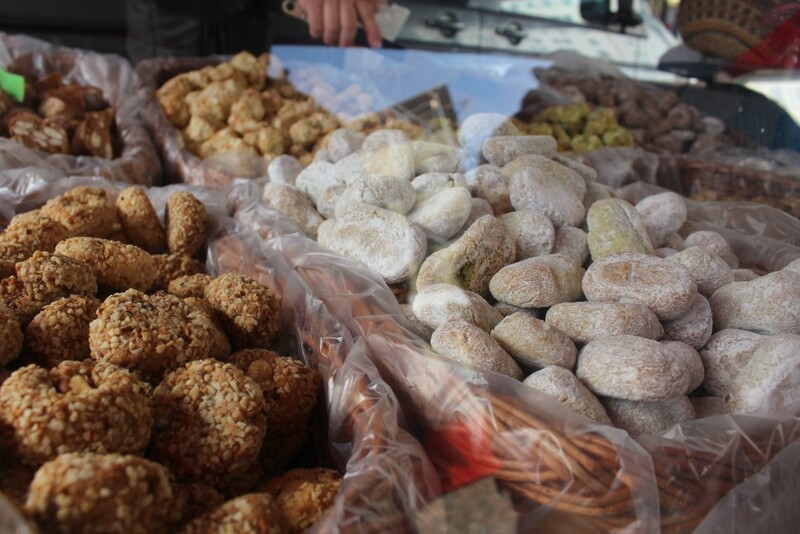 This market has woodwork artisans, roasted chestnuts, delectable pastries and so much more. 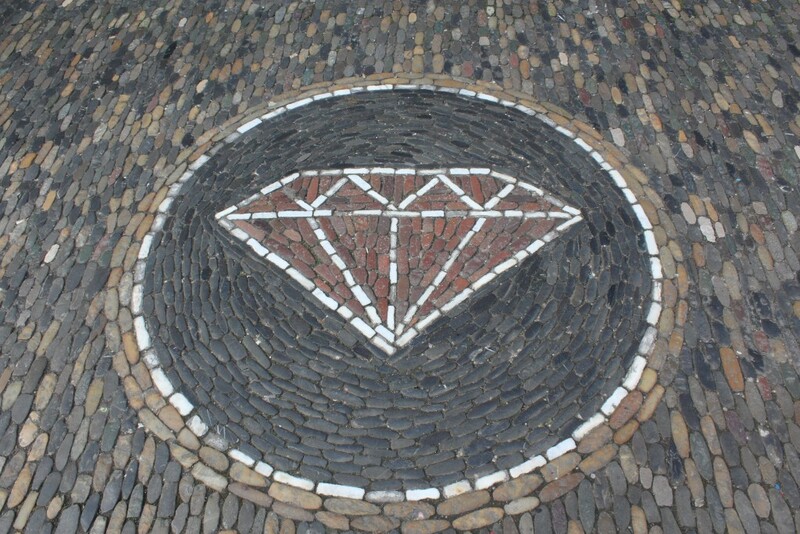 As your walking through the market and city, don’t forget to look down at the mosaic designs as they decorate the street ways throughout the town. We found several of these special designs quite entertaining as they identified the places of business. 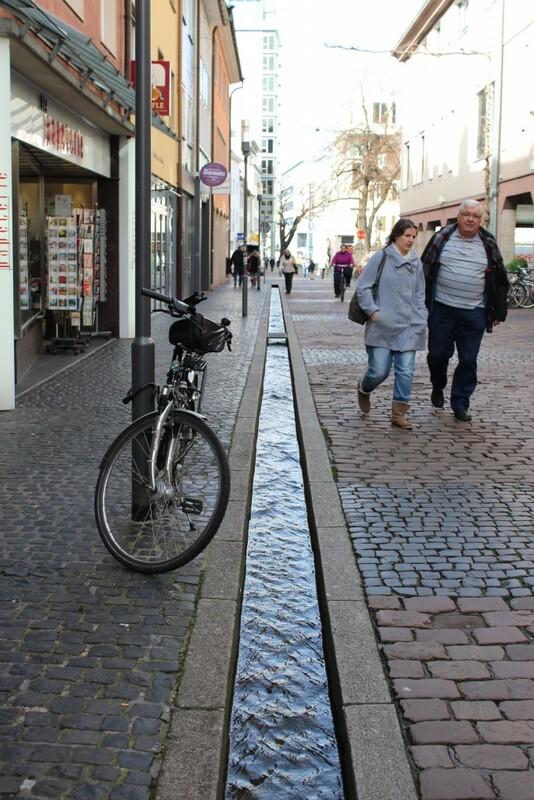 Created initially to help walking traffic throughout the city, they now really pay homage to Freiburg’s dedication to the arts. There are two beautiful and famous towers in town, the Schwabentor and the Martinstor. 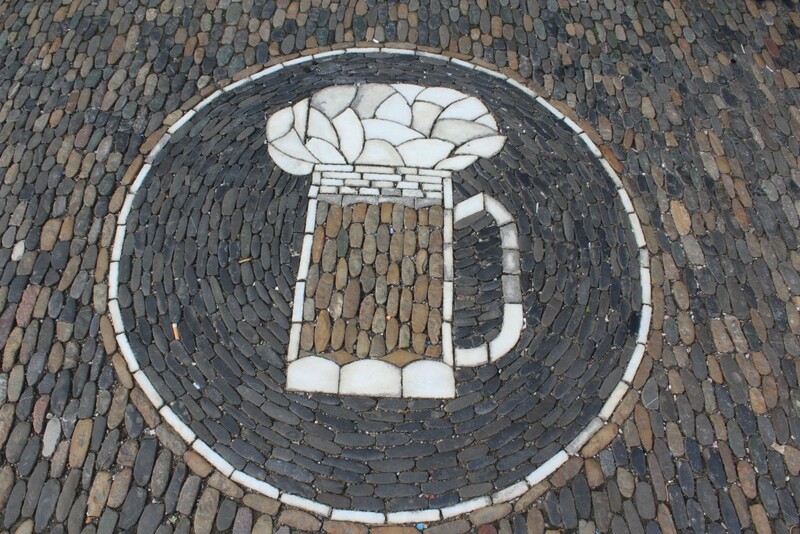 The walk to the Schwabentor from Münsterplatz will take you down the cobblestone streets lined with mini-canals. Once used for drainage years ago, these canals are now a quaint signature of this town. Be careful where you step as you wouldn’t want to accidentally fall in! There are also spaces wide enough where an ankle might get twisted. The Martinstor is also nice with its hand paintings and decor. Being attached to a McDonald’s, it is hard to concentrate on the tower’s place in history. With both towers very close to the university district, you will notice many young people and a heavy bicycle traffic. 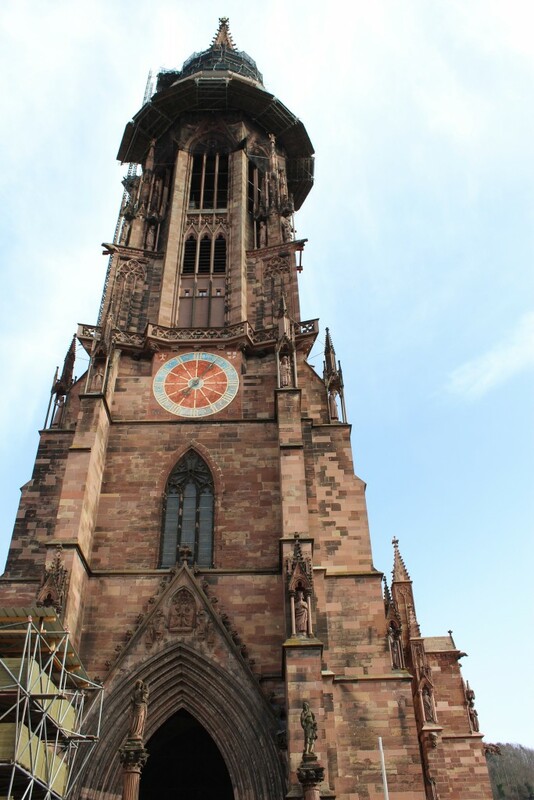 Freiburg has several museums and churches, which would be very difficult to see them all on a day trip. Nevertheless, here’s a great list to add to your itinerary based on your family’s preference. 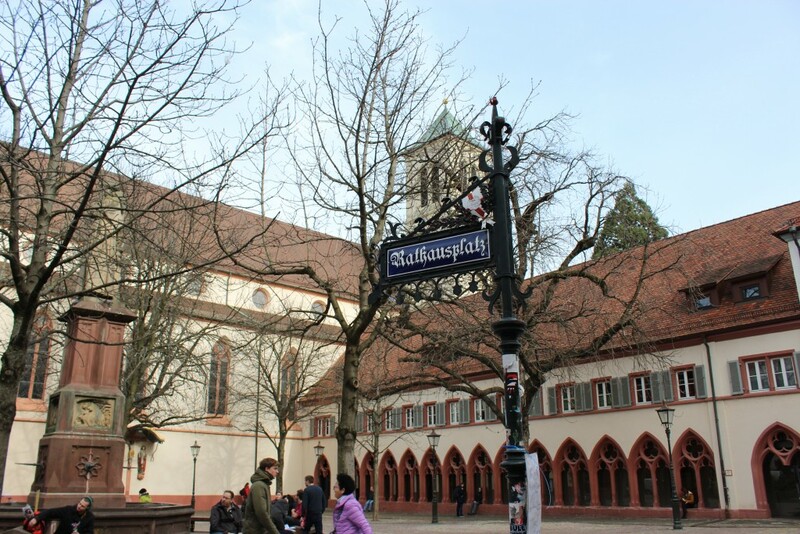 Old University Museum– Freiburg’s university museum, including history of the Jesuit order from 1600’s to 1700’s. If you have enough time in your schedule, make a trip up the funicular to the city Schloß or castle. The views of the Rhein valley are spectacular. However, right now the tower itself is closed for construction. The website indicates that it will reopen in the summer. You can reach the Schloß by walking a trail with stairs or by taking the Schloßbergbahn (castle train). We usually take the train up and walk down. It’s €5 per person up and down and €3 person one way. This could be a bit pricey for a group of five, I suggest walking the stairs which would be a great way to save money and stay fit. 5. Grab a Bite to Eat! Being so close to France, the influence is felt in the cuisine. The regional specialty is Schäufele, a roast pork dish that includes cabbage, onions and potato salad. Years ago this dish could usually be found only during the Christmas holidays, but it can now be found on almost every menu in Freiburg. I found the pastries here rather exceptional. 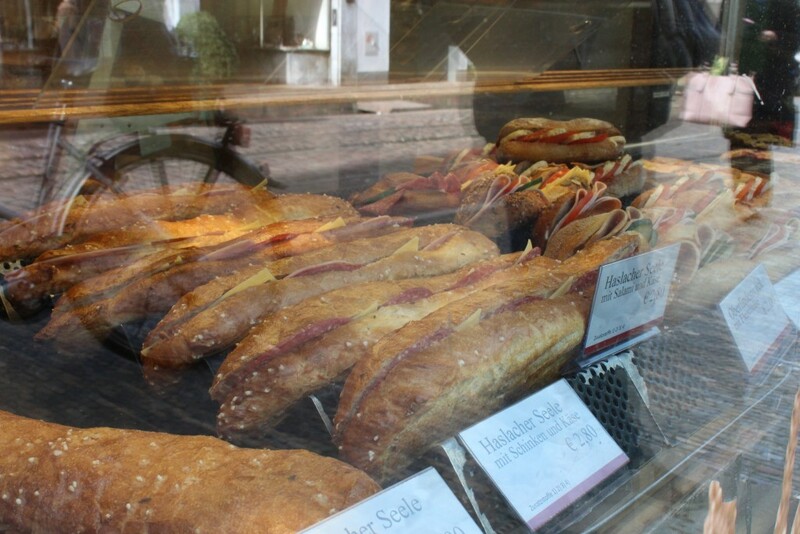 Though passing several bakeries and cake specialty stores, we enjoyed enjoyed some almond flour pastries from the market on the church square. 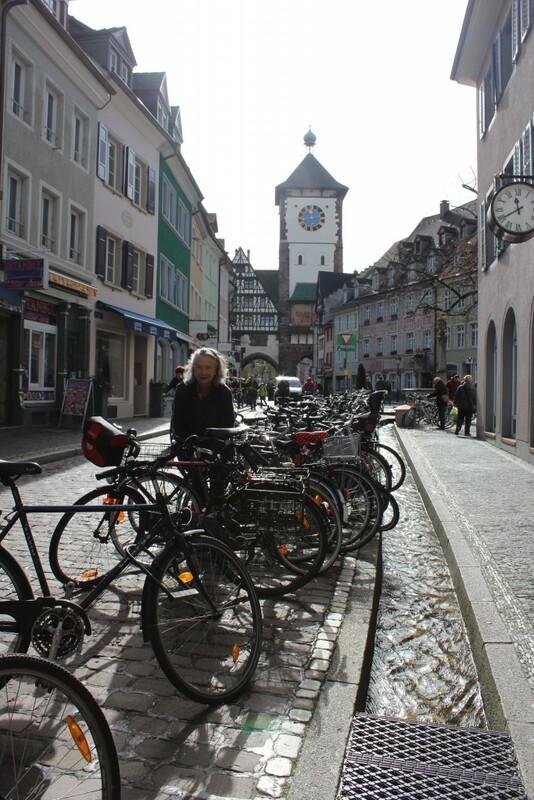 Overall, our day in Freiburg im Breisgau was a lot of fun and very informative. 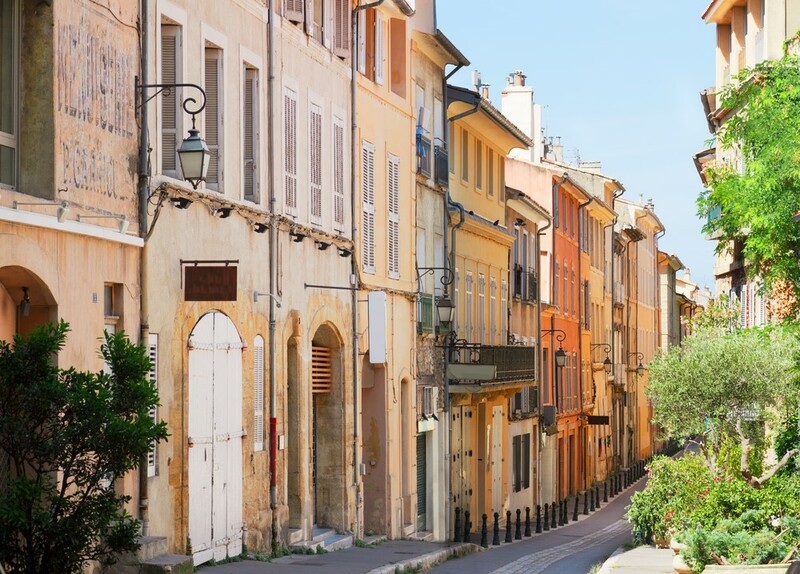 This charming city beckons you to go back to discover more. I think it would make a wonderful 3-day trip in the Black Forest region. The city has done a wonderful job of maintaining its quaintness while blending in the modern. Some of the architecture pays homage to the crusades and the city’s patron saint, Saint George. As a commuter train passed under our feet, we admired the painting of St. George (at the Schawbentor), which depicted him stepping on a dragon he just had slayed. From Stuttgart you can go two different ways, the scenic route (through the winding roads and forest) or the highway. We took the scenic route there and then the highway back home. There is construction on the A5 right now, so traffic jams are quite common. Knowing this ahead of time might influence your journey route. Taking a little more than two hours from Stuttgart, it could be a bit of a drive for a day trip. It would be wise just to leave early. Parking was super easy this time of year with most of the garages were open. We parked at the APCOA Parkhaus Schwarzwald on Wasserstraße. This garage popped us out into a shopping center with merry-go-round. We walked around the mall to find the re-entrance into the garage. Your ticket usually has the name of your garage on it, so you can retrace your steps if needed be. Freiburg im Breisgau is just over two hours southwest of Stuttgart, just under three hours south of Wiebaden and Kaiserslautern. Click on DB Bahn for train information. 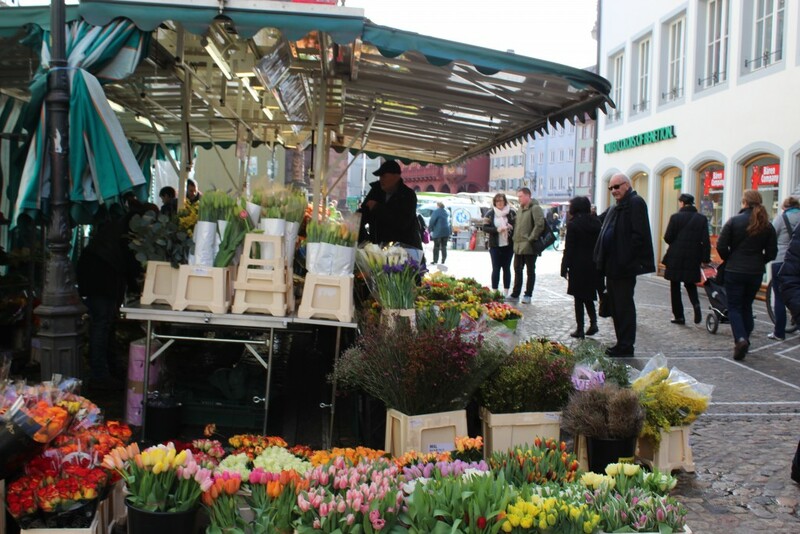 Explore the Kaiserslautern Morning Market!